Here in the Arizona, lawn maintenance can be quite costly, especially in the summer months when water conservation is a big concern. Why bother with the hassles of a grass lawn? Do as so many Phoenix and Scottsdale residents have done, and choose Southwest Greens of the Valley to install the highest quality synthetic turf and artificial grass for your residence or commercial setting. With minimal maintenance and year-round green, synthetic grass is fast becoming the main choice for landscaping here in the Valley of the Sun. Southwest Greens of the Valley is proud to offer Envylawn® products, which are highly resistant to the harsh elements here in Phoenix, Scottsdale and all of Arizona. Our synthetic grass options are numerous and are great for backyards, dog runs, common areas, medians and anywhere you would find real grass and without the maintenance issues. Not only is it easy to care for, it looks and feels like real grass. No mowing, no watering, no re-seeding, no fertilizing. The initial monetary cost of installation is quickly absorbed with the elimination of live grass and the maintenance required to keep it alive and well. 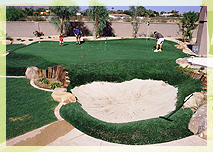 Look no further than Southwest Greens of the Valley to install your synthetic turf and artificial grass. Besides our expert installations, Southwest Greens is well known for being professional and providing superb customer service. 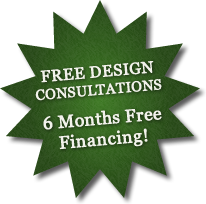 Call us today at 480-664-9417 for your complimentary consultation.